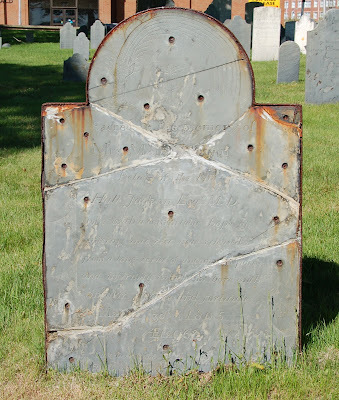 No, this gravestone is not riddled with bullet holes. It is merely a survivor of the well-intentioned efforts of a preservationist who never heard of the principle of reversibility. It's in rough shape, but I'm grateful to whoever preserved it long enough for me to add the epitaph to my list.